Fair warning, the Doctor has traveled to a time in the near-future, a future where the better part of the world in engulfed in war. Find out how the Doctor aids this war effort, and meet the men who fight along side him to restore peace to this future world. For a weekend event, I need almost an entire day to cram all my clothing and gear into the car and another day to get it all unpacked when I get home. 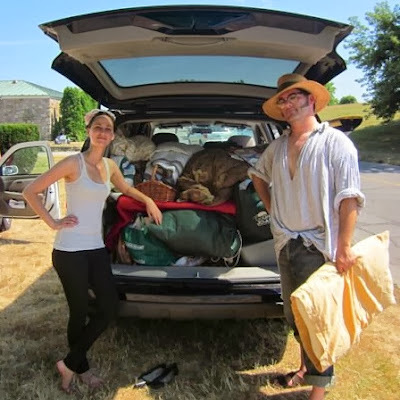 I'm fortunate in that I have a mini van with a little more space, but even then there's the hassle of dragging the heavy seats out of the back to make room. It can turn a Saturday/Sunday event into a Friday/Saturday/Sunday/Monday event. Why must it be a thousand degrees outside when you have to wear a wool coat on top of other thick layers of clothing? Why must it begin raining right as it's time for the battle reenactment to start? Or it starts raining right before it's time to start packing your canvas? Or it's crazy cold outside when you didn't pack appropriate clothing for it. 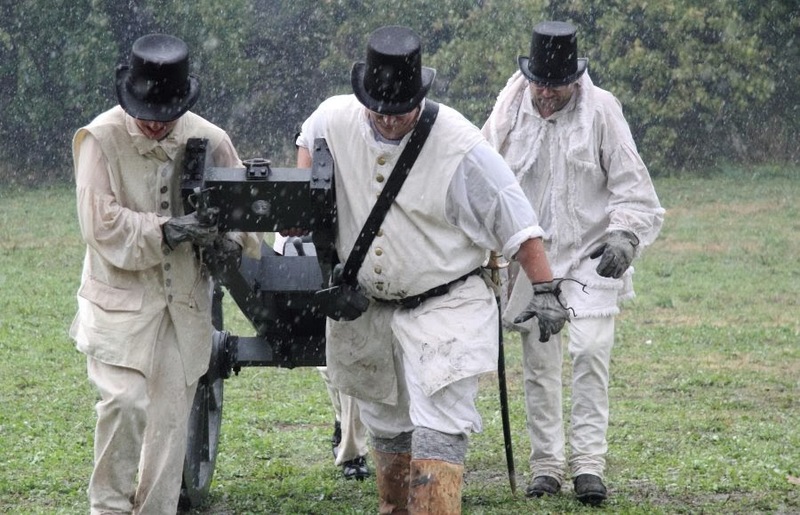 Don't get me wrong, I'm not a fair weather reenactor. I am aware that it was occasionally hot/cold/rainy in the past, but yikes! 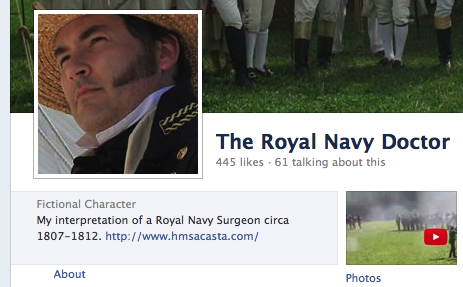 It can only mean one thing... God hates reenactors. We've covered these in a previous post... you know the ones I'm talking about. Don't get me wrong, I love working with the public, but these can wear on a body after repeated application. I love seeing new places and attending events at far flung historic sites... but yikes I get tired of the hours in the car! I have worn a hole in the carpet where the heel of my gas foot goes and mashed a dent in my armrest where my elbow sits. I've worn through oil and tires and put a zillion miles on my poor car in the pursuit of my beloved hobby. 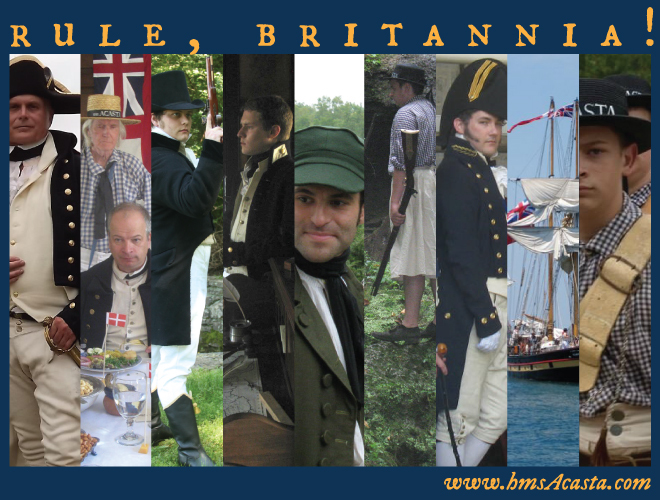 I know reenactors who have burned up tires, engines and entire cars in their travels. A moment of silence for our four-wheeled friends who have lost their lives in the tireless pursuit of our hobby. I'm the worst about it in the world. I goto an event to present or demo for the public, or with some other agenda, and I'm so busy all weekend that I completely forget to eat or drink. Or it's nasty hot and I'm just too sweaty to even consider food of any sort. Then to compound the problem, when the public leaves there's a rum ration issued to the unit or an adult beverage offered to me on an empty stomach. For some years I labored under the mistaken impression that cliques went away after high school, SPOILER ALERT... they do not. North, South, Indians, Slaves, English, French, American, Militia, Army, Navy, Longhunters, Stitch Nazis, Librarians, Farbs, Mainstreamers, Progressives, Old-timers, Spirit of 76ers, Costumers, Steampunks, Quebecois, Western, Performers, Presenters, Demonstrators, Craftsmen, Research hoarders, Doctors and Surgeons, Officers, NCOs, you name it. In the end we're all doing roughly the same thing in our own way, giving the public a glimpse of life in the 'old-timey' days while trying to learn and experience some aspect of history for ourselves. Play nice out there kids! I already don't enjoy using strange toilets. But I REALLY don't enjoy using strange PUBLIC toilets. Then, put that strange public toilet in a cramped, outdoor blue plastic booth while wearing my 'funny clothes'... and it is my ultimate recipe for discomfort. There are so many layers of clothing between you and your eventual goal that it is the least graceful and practical thing you can do at an event. 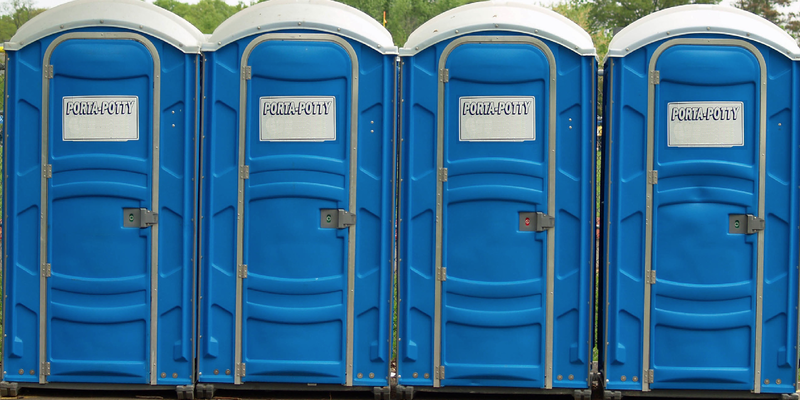 I have been known to avoid port-a-potties like the plague unless I'm just absolutely desperate. And even IF I decide to make use of one, I usually try to use the 'handicapped' potty because they're so much bigger than the regular ones, there's generally enough room to take off and hang up the five layers of clothing between me and the plastic seat. God forbid my clothing be allowed to touch any of the mysterious and fetid fluids that lurk on any and ALL of the potty's surfaces. Now, a tale that the lovely Mrs. Roberts twisted my arm to make me include. 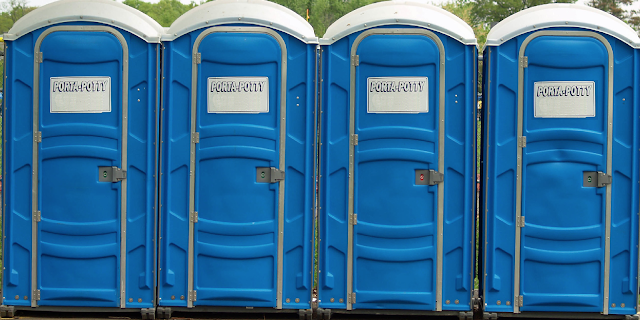 A year or so ago, I was at a nice little event whose name I won't mention (but it rhymes with 'Long Run Massacre') and I had avoided the port-o-johns all weekend and finally was beside myself with desperation. So I picked out one that was partially obscured from public by the treeline. At least the event coordinators had made an attempt to hide them a little bit. I enter and immediately realize this is going to be an unpleasant visit. The little blue booth was full in the hot afternoon sun and had been baking there for several hours. To make matters worse, it would seem that everyone else had used it before me, leaving it a complete wreck! There were no interior hooks for me to hang my waistcoat etc from, so I very carefully folded it up and placed it precariously on a little shelf attached to the exhaust pipe. Then, I very carefully got myself arranged so as to do my duty (as it were). I was mindful the entire time not to allow my breeches to touch the wet floor. Once my transaction was complete, I stand to pull up my breeches. But because of the small size of the little potty and the awkward angle at which I had to stand in order to keep my breeches from touching the floor. I was having a hard time. Then the perfect storm occurred, Leather soled period repro boots met slick plastic floor, awkward crouching angle met wonky balancing act center of gravity. I sliped forward and banged my head on the plastic door then fell in a half-clothed crumple onto the wet floor. Needless to say, the scream that issued forth from the interior of that little blue hell must have sounded like a middle school girl. Did you enjoy this post? Click here to check out the rest of our site.